A bit of old news for a few of you, but I’ve joined the international collective Book Art Object for their next edition. It’s rather ambitious this time around. Last I heard, about 50 people have signed up. We are being placed in groups of 8 each. Each Book Art Object edition uses a literary piece as a starting point. The inspiration for Edition 4 is Sarah Bodman’s artist’s book An Exercise for Kurt Johannessen. More is explained at the BAO site and by Sarah, but the gist is that Johannessen, in his artist’s book Exercises, had suggested a task: write 100 short stories and bury them in a forest. So Sarah did. All that remains are the titles of her stories. Using this as our starting point, we each chose one for our own artist’s book. I chose title #87–Superstition. We will each make an edition of at least 10 books–one for each in our group, plus one for Sarah Bodman, and an extra (or more, if we desire) for exhibiting. My good luck charm Larry. He always sleeps with me. I picked Superstition because the line “One should not dance around ladders nor sleep with black cats” popped into my head as I was looking at the list of titles. I thought it might have potential. After I signed up, it occurred to me that black cats are actually good luck in the UK, where at least one of these books is going to wind up. And I had no idea what sort of luck they are in Australia or Norway, where some of the others will be headed. Hmmm . . . I posed this question on the BAO blog, and my fellow bookies have offered input. It turns out they are indeed bad luck in Norway (if one crosses your path, you should quickly spit 3 times to ward off the bad luck). But the opinions from Australia seem to be a bit ambivalent. Theoretically, I think they’re supposed to be good luck in Australia, but I’ve been told that traditionally they are known to be bad luck as well. So… either this will turn into a treatise on the nature of black cats and the fortunes they bring depending upon country of origin, or I’ll have to come up with something else. I suspect I’d better come up with something else. I’m still jotting down ideas in my sketchbook. At any rate, seeing as we recently survived a Friday 13th, this seemed like an appropriate time to mention Superstition. I hope you all had a relatively lucky 13th. Mine was mostly peaceful, aside from a large van backing into my car while I was sitting in it (fortunately, and surprisingly, no damage to me or the car). Perhaps the two black cats waiting for me at home have distant British relations, thus bringing me good luck and improving the outcome. My other good luck charm, Lila. I finally got here. I have always heard that black cats are bad luck. However, I have always shared my life with them too. Perhaps those Orstraylians who were ambivalent (Ms Duck leaps to mind), had succumbed to the joy of black catdom. There are a lot of us about. 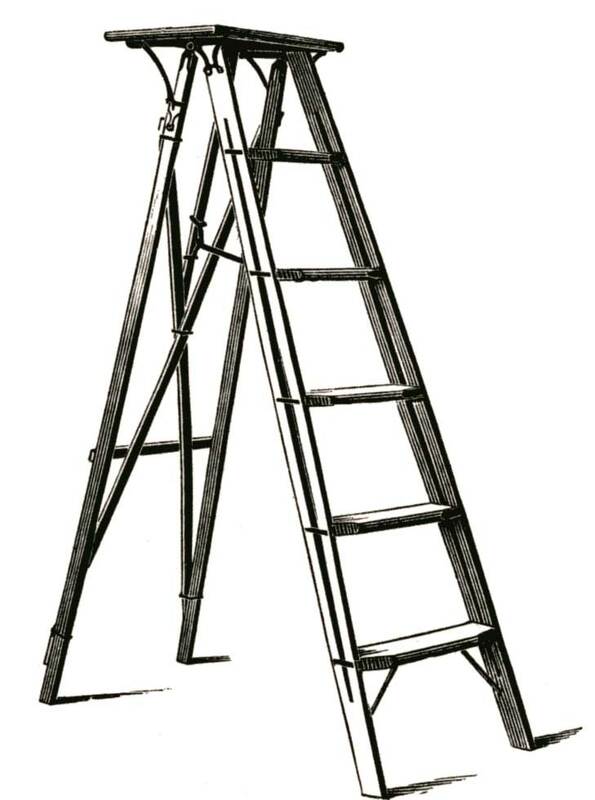 I love the line “One should not dance around ladders nor sleep with black cats”, but equally one should not dance around black cats or sleep with ladders. PS: Lila’s position reminds me so much of Jewel and even more of M’lady who preceeded Jewel in our life. And that photo of Larry is very like the songster in our house. I am so happy that you and your car survived the impact of Friday 13th. And really, really looking forward to future Book Art Object posts. From searching the Internet, someone from another part of the world might get the impression that black cats are considered good luck in Australia. But the Australians I know say they are considered bad luck, usually after thinking about it for a bit. 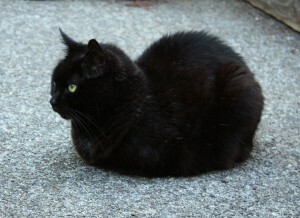 I discovered that in Scotland it’s good luck if a black cat shows up your doorstep. Since I’ve had two black cats show up on my doorstep, I guess we must be blessed. I hear they are also good luck in Ireland and Japan. But indeed, one should not dance around black cats nor sleep with ladders either. I especially wouldn’t think dancing around your Songster would be a good idea. And I’m pleased you’re interested in the Book Art Object posts. Aside from the black cat worshipping Chipmunk, you know at least a couple of the others, including the aforementioned Ms. Duck, who’s in my group. Thanks Amanda! Your explanation, I think, nails it. Makes a lot of sense. The whole black cat thing is rather sad. Just this week in the paper they were begging people to adopt some black cats from the shelter. Apparently, they are the last to go. So depressing and ridiculous. This is a really interesting discussion going on here. One of my fellow book art students last term based her project around this very subject. These superstitions are curious and fascinating creatures and I personally am always curious as to their origin. 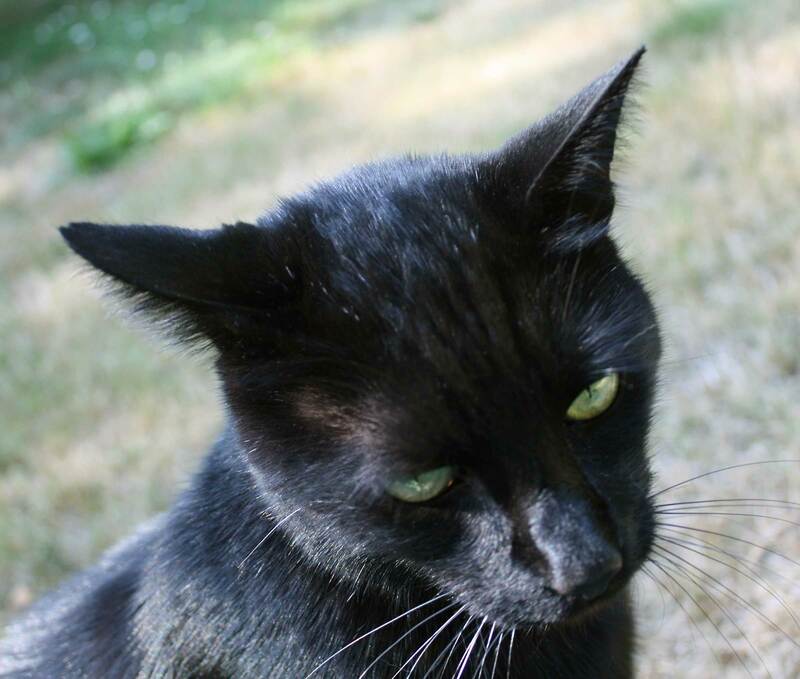 By the way, just to put the record straight on the black cat… Here in England if one crosses your path it is extremely lucky. I think the view over here is that the black cat brings luck, and although I have my lovely tabby Alfie, I would also adore a beautiful black one too… I’d certainly be more than happy to help out with that shelter you mention! I have subscribed to the Book Art Object, by the way. It looks really very interesting and I am a fan of Sarah Bodman too. I am so looking forward to hearing how you get on with this project! Greetings Tan! Do you know if your fellow book art student has any pictures of her project on the web? I’ve become very interested in any mention of superstitions these days. I’m still pondering how I’d like to proceed. Now I’m thinking I might work in a tarot card or two as well. I once actually began to make a deck, and occasionally still dip back into it now and then. I was quite surprised when I first went to England and discovered things like good luck cards with black cats on them. And here at home, after we had two stray black cats, one after the other within a month of each other, suddenly show up on our doorstep, a friend in Newcastle was positively gushing about our obvious good fortune. Anyone who’s grown up in the U.S. knows it is bad luck to have a black cat cross your path.